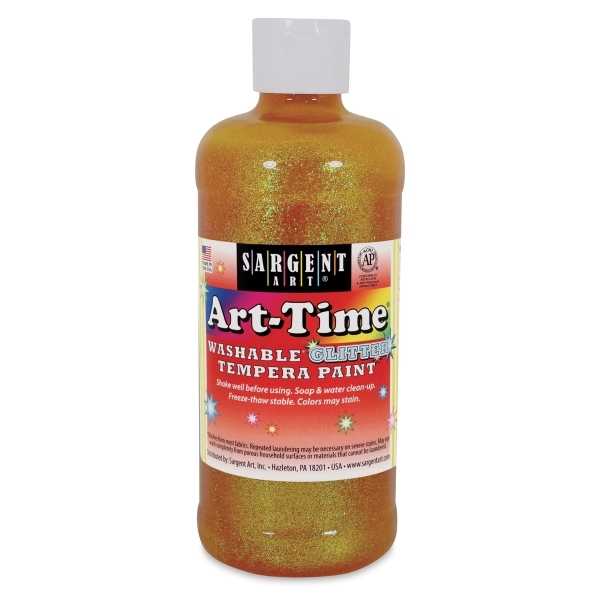 Add a whole lot of sparkle to your next project with brilliant, opaque glitter tempera paint. Well suited for a host of projects, they're long lasting and economically priced. Non-toxic. 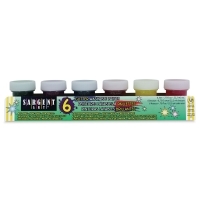 Set of 6 — This set of six 0.75 oz (22.2 ml) jars includes Blue, Green, Magenta, Red, Violet, and Yellow.